Due to the alarming results of the IPCC study concerning the world climate the discussions about using nuclear energy got a new boost (e.g. Florida and California ponder nuclear future or Brazil to cite some examples) . The main argument for the use of nuclear energy in terms of saving the climate are the low degree of greenhouse gas emissions, however comparative studies often leave out the carbon costs of mining. In this old randform post about Russia`s nuclear plans, it was emphasized that Russia’s plans are to enforce a nuclear reactor type which is called fast breeder (type BN – yellow partition in the diagram at the end of the article on the left side). However Russia is just an example and in fact the in the post mentioned BN-600 is an interesting prototype for e.g. Chinas nuclear energy program (here a list about prospected and existing nuclear reactors in Asia) and the development of the follow-up model BN-800 is apparently in cooperation with Japan). So what is so peculiar about the fast breeders? 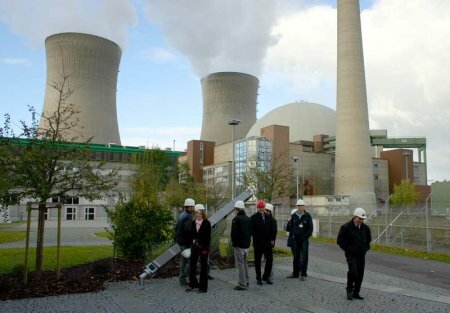 The big problem of nowadays nuclear energy is that with the current most common power plants the ressource Uranium 235 will be finished in about roughly 50-70 years (source: here or here.) . So proceeding with nuclear energy means that at one point one has to fall back on producing nuclear energy with breeders, which “breed” more fissile materials. Breeders, in particular fast breeders were in the past mostly used for weapon production instead for pure energy production. This was because producing energy with them is/was too expensive (this will change with rising Uran prices) and since nuclear safety is more problematic (e.g. fast breeders are more prone to a nuclear meltdown, or e.g. the coolant containing Sodium is highly explosive when exposed to water). And finally -since one can produce weapons with them- their mere existence increases the risk of nuclear proliferation. Fast Breeder Reactors are called fast because they are using fast neutrons (i.e. the neutrons are not slowed down as in the usual reactors) and are abbreviated as FBR. The FBR was originally conceived to extend the world’s uranium resources, and could do this by a factor of about 60. When those resources were perceived to be scarce, several countries embarked upon extensive FBR development programs. However significant technical and materials problems were encountered, and also geological exploration showed by the 1970s that scarcity was not going to be a concern for some time. Due to both factors, by the 1980s it was clear that FBRs would not be commercially competitive with existing light water reactors. The above implies that the FBRs could extend the use of nuclear (fission) technology to roughly about 50*60=3000 years- given the current demand of nuclear energy (more on this see below). (It should be pointed out that breeding with Thorium in conventional reactors may extend this deadline at most to 5000 years (generously assuming that no Thorium would be used in FBR’s and using the factor 40 of Thorium). However this pro-nuclear german site has a different estimation of 200 years (may be including future demands ?). There are basically three materials which are used for energy production in a nuclear reactor, these materials are called fissile materials and they are: Uranium 235, Uranium 233 and Plutonium 239. Uranium-235 is occuring in nature, but only about 1% of the natural Uranium is Uranium-235, the rest is mostly Uranium-238. Uranium-233 and Plutonium 239 have to be produced in breeders. Uran 233 is basically produced from Thorium-232, whereas Plutonium 239 is produced from Uran 238. Thorium and Uranium-238 are for that reason called fertile, since they are not fissile materials, but they can give fissile materials in a breeder. A breeder consists very roughly of a core containg fissile material (e.g. Uran-235, Plutonium from weapons etc.) and often a blanket which is “wrapped around” the core and which is containing the fertile material (Thorium, Uranium 238). The core provides the neutrons, which are necessary to convert Thorium or Uranium-238 into Uranium 233 and Plutonium 239, repectively. Uranium 233, Uran 235 and Plutonium 239 can be used for atomic bombs. The blanket will be thorium with some U-238, which means that any uranium chemically separated from it (for the U-233 ) is not useable for weapons. Spent blanket fuel also contains U-232, which decays rapidly and has very gamma-active daughters creating significant problems in handling the bred U-233 and hence conferring proliferation resistance. Plutonium produced in the seed will have a high proportion of Pu-238, generating a lot of heat and making it even more unsuitable for weapons than normal reactor-grade Pu. For that reason Thorium is sometimes called a “green” nuclear energy. Judge yourself how “green” this is. There exists another method to produce Uranium 233 from Thorium which is by substituting the core by another neutron source. Here (roughly) a beam of high-energy protons is directed at a high-atomic number target (“a disk”) which produces the neutrons. The high-energy protons are produced in a particle accelerator. This form of producing nuclear energy (which is more or less in the research state) is called Accelerator-driven Nuclear Energy. It has the advantage that the neutron source (which is initiating the nuclear reaction in the blanket) can be “switched off” fastly. This article in the Russian Independent describes a similar approach and is again titled as “green” (read also the comments). The current use of nuclear power compensates for about 6% of the total worldwide energy consumption (according to a BP study, which is also used here). It is mainly used for generating electricity (and very rarely for (hydrogen) fuel). There are countries which use nuclear energy for as much as about 75% of their electricity production (e.g. France). This means that if the use grows with a factor x then the number of power plants will be multiplied by x and the availability of nuclear power needs to be divided by x, e.g. if the use of nuclear power raises with a factor 10 (which would probably include partial fuel production, so that this would probably not account for 60% of the current energy demand, but less then that!) then the number of power plants will raise from about nowadays 450 to 4500 (!) and the availability of nuclear fuel would decrease to 300 years (if we take the 3000 years number) or 20 years (if we take the 200 years number). The amount of nuclear waste would raise of course also by a factor 10, but this would be accumulating (!) over the years (and as it seems in a not very well documented way). The risk of an accident however will raise by more than a factor 10, given the above mentioned reasons. The risk of proliferation and nuclear wars is probably also raising more than a factor of ten. So you can do the calculations by yourself depending on the demand-x-factor. Concluding in view of the above: nuclear energy could only make a halfway substantial contribution (and even this seems to be unclear) if one makes a lot of sacrifices, in terms of investments into technologies with high risks and an unethical waste problem. A country which is getting around without nuclear energy is a lucky country. I am happy for comments on this. Das Höchstspannungsnetz ist inzwischen vielfach vermascht. Der Strom fließt nach physikalischen Gesetzmäßigkeiten im Netz, die als Kirchhoffsches bzw. Ohmsches Gesetz beschrieben sind. Der aktuelle Schaltzustand des Netzes – auch Topologie genannt – (zu- bzw. abgeschaltete Leitungen, Transformatorstufenstellungen etc. ), die örtliche Stromabgabe an unterlagerte Verteilnetze, Abgabe an Großindustriekunden sowie der aktuelle Einsatz von Kraftwerken bestimmen, wie viel Strom über einzelne Leitungen fließt. Der Übertragungsnetzbetreiber hat demnach nur durch Änderung des Kraftwerkeinsatzes und durch Schalthandlungen im Netz bedingten Einfluss auf den physikalischen Lastfluss. Es ist daher sehr wichtig, den Fluss des Stromes sowie die Belastungen sämtlicher Betriebsmittel zu überwachen, um rechtzeitig Überlastungen und Engpässe im Netz zu erkennen und Gegenmaßnahmen einleiten zu können. A very strong earthquake in Japan has killed at least seven people, as well as causing the leak of a small amount of radioactive water at the Kashiwazaki-Kariwa nuclear power plant. The water leaked from Unit 6 at the site – where there are seven nuclear reactors. The plant that suffered the leak was already shut down for maintenance. The three reactors that were operating shut down into ‘safe mode’ automatically when the quake started. Details are still emerging on the precise quantity of water that leaked, though the plant officials are saying that the amount is well within environmental limits and no detectable environmental damage will have been done. A pilot collecting water to fight a fire in Washington State, USA scooped water out of a pond used at a now-closed uranium mine. The pilot collected the water in a large bucket suspended below his helicopter and deposited it over a large area of burning woodland. Thankfully neither the water nor the bucket was found to have any radioactive contamination. Thanks for the comment Professor Matt! The world goes nuclear as the oil resources get depleted. There is no way to avoid it.